if I hadn’t met your father. cut out from the whole. so I could breathe again. Christina Thatcher is a PhD student and postgraduate tutor at Cardiff University where she studies how creative writing can impact the lives of people bereaved by addiction. Christina keeps busy off campus too by delivering creative writing workshops across South Wales, running projects for organizations like Making Minds and the Welsh Writers Trust, coordinating literature events for the Made in Roath Festival, and more. Her poetry and short stories have featured in a number of publications including The London Magazine, Planet Magazine, and the Lampeter Review. 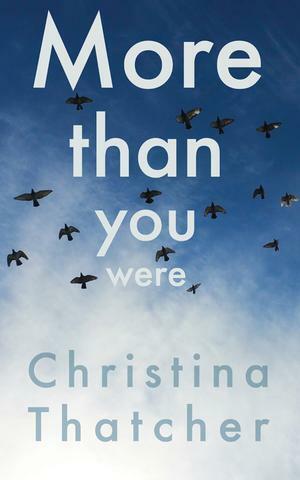 Her first collection, More than you were, was shortlisted in Bare Fiction’s Debut Poetry Collection Competition in 2015 and published by Parthian Books in 2017. Twitter @writetoempower.